Q: Your area is so diverse in terms of the folks you lead and what everyone handles – in what ways do Strengths, either your own or your familiarity with others’, help you build community and common purpose? Our purpose is to always focus on the strategic initiatives. The strengths are what give us the drive and the same vocabulary, so we can identify the best people for the job and help us move forward. As a division, we are improving our understanding and use of strengths. You can really tell a difference in the divisions that have taken that on. They are unified in their purpose. The most interesting thing is people’s reactions to one another: I hear them more often than ever before saying “Oh, that’s just my Deliberative” or “That’s my Strategic working on you.” It makes us much more effective in what we’re trying to get done. Q: How, or which, Strengths come into play when you have to do the hard work of prioritization – funds, or projects, and so on? Analytical is always in play because I have to understand every element of every matter that I have to make a decision on – how it will impact everything, every division, every department, the entire college. Restorative is really the one that drives everything because it’s what helps me solve the problem. Responsibility means I’m going to get it done, get it resolved, pull the right people together to solve it. Achiever keeps me shooting for the stars: do everything and dream big. I’m fascinated with Learner, because you never stop learning. For me, learning means becoming comprehensive – understand every aspect of the institution and know how it works. I’ve done Student Affairs and Administrative Services. My mentor told me I have to know every area, and he pointed out that I didn’t know Instruction, so that’s when I started working as an adjunct. My Learner is what drove me to follow that advice and try to learn every area of the college. I learn from others. When I need to figure something out, I find the person who knows, so that next time I know exactly what to do. Q: Here at South, we’ve been introduced to Strengths within a professional paradigm, obviously, but on a personal note, which of your Strengths go home with you at the end of the week? All of them – I made my whole family do Strengths. I was really fascinated by Shari’s ability to look at her own family, and that made me wonder about my kids and my husband. It was really fascinating because my daughter and my son have a lot of my same Strengths, and I was surprised by that. My two boys are very similar and they both have competition, so that’s that sibling rivalry. My husband’s Strengths were very different than the rest of ours. He has Developer, Empathy, and Harmony. Knowing that has helped me understand our whole family dynamic. The two biggest things I’m focusing on are financial stability and facility improvements. Those have been the most monumental, so I will be using all of my Strengths in those areas. How can I solve the issue? How can I reach my key results? Restorative will help me make sure we get there in good shape. Analytical will help me figure out the methodology. The hardest part will be financial stability – right sizing the college and getting the resources where they need to be. We need to be able to trust each other. There is a balance to strike with that; if resources have to shift to another area, we need to be able to trust that one day, when your area is a priority again, those resources will be available to come back to you. I’ll be relying on everyone else’s Strengths to help us get through this. I think it just gives us a really strong, fun tool to help us become more efficient and effective. I only see benefits from it, so I’m really excited to see it engrained with students. It’s so rewarding when you see they understand themselves better. They really get it. 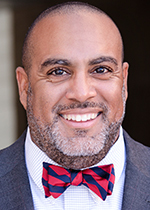 Profiles in Strengths: Rey Rivera, Ed.D. I strongly believe in creating collaborative teams, so once the institution has an initiave or goal, and I’m asked to accomplish it, I start thinking about individuals who would make a good team to define the problem, come up with solutions, and implement them. I don’t think any one person has all the answers. I think that’s part of my Relator Strength. People who are invested in a solution will come forward naturally. My role is to facilitate – that’s where my Analytical and Strategic Strengths come in. With my math background, I’m always looking at an issue from all the angles to find a solution. I try to look at the realities of the situation. I like to get stuff done, so that’s where my Achiever comes in. Once I start something, I have to accomplish it. Finally, as a Learner, in the process of problem solving, I learn a lot: I learn about people and about the situation. Q: In your new position, do you find yourself allowing one or two Strengths to become more instrumental while downplaying any others? I don’t know where Adaptability is in my 34, but I feel it charging to the forefront. Sometimes I have to tone down my Analytical side because at times a solution needs to be reached quickly, and you can’t keep looking at different options. Sometimes you have to just trust that you’ve done enough. As a Relator, when I have to work with large groups, it’s not necessarily my comfort zone, but I’m starting to get better about it, so perhaps I’m refining that Strength. On the other hand, there are days that the Achiever in me gets frustrated that I don’t get to scratch anything off my list. Especially at the institutional level, change can be incremental – unlike the classroom where you see change immediately – I just have to be patient. The group matrix exists, so as VPs we do need to know how to utilize that. At the same time, you don’t want to use that exclusively to ask people to get involved, but it certainly helps to have a well-balanced team. For example, trying to get through the scheduling process, I’ve invited Student Services, Financial Aid, and Advising to the table to get their viewpoints on the important issues because faculty and chairs see one aspect, but having different perspectives will help us create a solution that the whole college can live with and, most importantly, to help students complete with minimal impact on financial aid and other factors. Q: Efforts to educate new students about Strengths are well underway. Do you have a vision for the relationship between students and faculty in terms of Strengths? That’s been a major challenge on the Academic side. I think faculty see the benefit of recognizing their own individual Strengths and they see how knowing one’s own Strengths can also help students – but that’s where the missing link is right now: How do we integrate it into courses, and how do we document that integration to gauge its positive impact? Creating a resource or repository for helping faculty infuse Strengths into their curriculum is an idea with a lot of potential. It can be a resource for thinking about the relevance of Strengths as well as opportunities for experiential learning. in AAA 115: Creating College Success classes so far this semester will learn to discover, develop and apply their strengths in academics, careers, relationships and work life. Each faculty member teaching this class has completed 9 hours of Strengths Educator training and 12 hours of the Gallup Strengths-Based Mentor and Advisor Program (MAP). 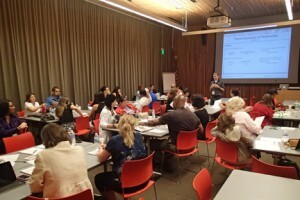 Dr. Olsen, President, administrators, faculty and staff of South Mountain Community College attend a Gallup Strengths Mentor and Adviser Program conducted by Mark Pogue, Vice President of Higher Education Practice, Gallup. The shortest distance between two points may be a straight line, but it might not be the best or most interesting route. Since Weber State University (WSU) started its strengths journey three years ago, it has taken a unique path to bring strengths to campus — and students have taken the lead. To build on the students’ energy and enthusiasm, Newman and Hanalee Hawkins, a prevention specialist with WSU’s drug and alcohol education program and Newman’s partner in developing the program, shifted their focus to organizing workshops for students. Soon, clubs and organizations on campus were clamoring for presentations on strengths. “It snowballed to where we were doing so many presentations, we had to create a team,” says Newman. 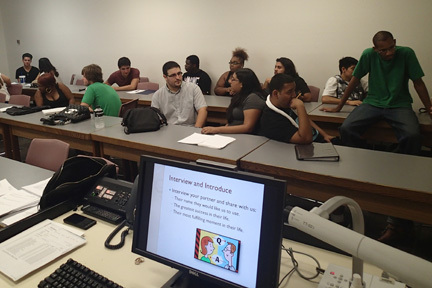 Because students were the source of the momentum, it made sense to enlist them as trainers. “So we developed what we called our LEAD team — Lead, Educate, and Develop,” says Newman. To train new team members, Newman and Hawkins bring in their Gallup partner, Tom Matson, to conduct strengths learning, including sessions of the StrengthsQuest Educator Seminar, StrengthsQuest Mentoring and Advising Program, and Leadership StrengthsQuest. Following training, team members meet weekly to coordinate activities and continue their strengths development. Members keep a strengths journal and share what they have observed through the week with a strengths partner. They also take turns presenting to the group, and they mentor and challenge each other. Members of the LEAD team make a two-year commitment to the program, serving as apprentices the first year and senior trainers the second. Many continue with the team until they graduate. The team started with four members, but now 18 members serve as campus experts on strengths. Members of the LEAD team receive a tuition waiver in return for their service, and competition for the positions is fierce — this year, 45 students applied for 18 available positions. The team has grown because demand for their services has grown on campus. As WSU students became more excited about strengths, “the faculty started to take notice,” says Newman. Soon faculty members were calling Newman and Hawkins, asking to integrate strengths in their courses. “Right now, 16 courses are tying in StrengthsQuest as part of their curriculum, and we’re looking at about 50 for next semester,” says Newman. In addition to presenting in classrooms, the LEAD team has developed 12 distinct workshops that are open to all students; team members also provide one-on-one mentoring in strengths development. Workshops begin with Level 1 (an introduction to Positive Psychology and strengths) and Level 2 (an in-depth exploration of an individual’s strengths). Other workshops focus on using strengths to be a better leader, how strengths relate to team dynamics, and strengths and wellbeing. WSU has a diverse student body, and Newman, Hawkins, and the LEAD team members have developed innovative programming to bring the language of strengths to life for all students. 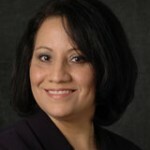 The LEAD team includes two team members who can present in Spanish to the WSU Latino community. The team also has focused on ways to get more international students involved in strengths programs. “The number-one [international] language on our campus is Arabic,” says Newman. To meet the needs of the Arabic speakers, they asked Yousef Alawadhi, a student who joined LEAD team at its beginning, to present Level 1 and Level 2 courses in Arabic. At first, Alawadhi used the standard curriculum, translating the presentation into Arabic. But the program didn’t resonate with the students. “It didn’t work,” says Newman. “The stories just didn’t translate. The experiences didn’t translate.” So Alawadhi reworked the curriculum, bringing in stories and examples that were familiar to his audience. To date, about 800 Saudi and Kuwaiti students have participated in StrengthsQuest programs, and the success of the Arabic program has attracted the attention of the Saudi Arabian Cultural Mission. Strengths in Education Conference: The 2012 conference will feature outstanding learning opportunities, including presentations by renowned speaker Sir Ken Robinson and Gallup Senior Scientist Shane J. Lopez, Ph.D.
Sir Ken Robinson, an internationally recognized expert on education, creativity, and innovation, will present the keynote at the summer Strengths in Education Conference. The videos of his presentations at the 2006 and 2010 TED Conference have been widely distributed on the Web since their release. 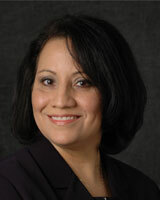 Dr. Lopez will explore why people go to college and how college gets the ready for success in the workplace. Learn more about Shane J. Lopez, Ph.D. The StrengthsQuest team is pleased to announce that we are integrating our learning and development offerings for educators with Clifton Strengths School. This integration will bring changes to the course names of our current offerings — and will bring additional offerings in the future. What will not change is our focus on bringing you in-depth, insightful, and actionable learning opportunities that will help you bring a strengths-based approach to your school or campus. New course: CSS 303HE-GLP: Great Leader Program: In this cutting-edge developmental program, you will gain a greater understanding of yourself, your talents, and your leadership style. You’ll learn concepts, strategies, and tools that will help you apply the Four Keys to Great Leadership to your role, partnerships, and team. We invite campus leaders who directly manage others in the workplace to attend this one-day program, which will help you to better engage your team members based on their talents. For more information on the Great Leader Program, contact Melissa Hinrichs or Kyle Robinson. Price changes — last chance to register at current prices: As of July 1, 2012, prices for these courses will increase. Register now for an upcoming session to attend at the lower price. See details in the Schedule/Registration area below. Visit our newly stocked Gallup Store site for two pages of ideas and items to recognize individuals on your campus. Do you need to order more StrengthsQuest codes, cards, or books? Visit thePurchase area on the StrengthsQuest website. To receive access to the Admin area of the site after you purchase codes and receive your order, email your StrengthsQuest username and BUID toStrengthsInfo@gallup.com. We’re committed to your strengths development. To learn more about Gallup Education conferences, seminars, webinars, and other learning opportunities, check the listing below. New events and dates are added frequently. For a full list of our learning opportunities, visit theEvents & Training page on the StrengthsQuest website or the Clifton Strengths School site. * This conference presession takes place over two days. Copyright © 2012 Gallup, Inc. All rights reserved.